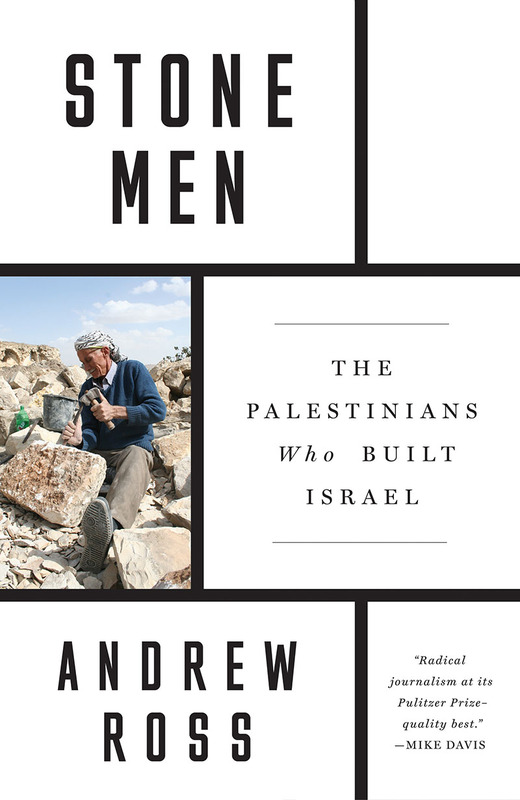 NYU’s Institute for Public Knowledge and Verso invite you to join for the launch event of Andrew Ross’s Stone Men: The Palestinians Who Built Israel, forthcoming from Verso in March 2019, featuring the author in conversation with Paula Chakravartty, and Arun Kundnani. Andrew Ross is Professor of Social and Cultural Analysis at New York University, and a social activist. A contributor to The Nation, the Village Voice, New York Times, and Artforum, he is the author of many books, including, most recently, Bird on Fire: Lessons from the World’s Least Sustainable City and Nice Work if You Can Get It: Life and Labor in Precarious Times. Paula Chakravartty is Associate Professor both in the Gallatin School and the department of Media, Culture, and Communication at New York University. She is the co-editor of Race, Empire and the Crisis of the Subprime (with Denise Ferreira da Silva, Johns Hopkins Press, 2013), the co-author, with Katharine Sarikakis, of Media Policy and Globalization (University of Edinburgh Press and Palgrave, 2006), and co-editor, with Yuezhi Zhao, of Global Communications: Towards a Transcultural Political Economy (Rowman & Littlefield, 2008). Her current research includes a project on new frontiers of labor and migration in India and an on-going research in the area of digital media and the new political, through her involvement in the Inter-Asia research network of the Social Science Research Council (SSRC). Arun Kundnani is Visiting Assistant Professor of Media, Culture, and Communication at New York University. He is the author of The Muslims are Coming! Islamophobia, Extremism, and the Domestic War on Terror (Verso, 2014) and The End of Tolerance: Racism in 21st Century Britain (Pluto, 2007), which was selected as a New Statesman book of the year. He has also been an editor of the journal Race & Class and a scholar-in-residence at the Schomburg Center for Research in Black Culture, New York Public Library, and written articles for the Nation, the Guardian, the Washington Post, Vice, and Intercept.